Give your cat or dog some tender love and care with a gentle grooming at Pretty Paws Pet Grooming. Clean and cuddly pets are the happiest pets! Our pets are our best friends, parts of the family, and our eternal companions, so it’s only natural that we want them to look and feel their best. Pretty Paws Pet Grooming has been grooming Airdrie’s pets since 1989, keeping our cats and dogs at their cutest. 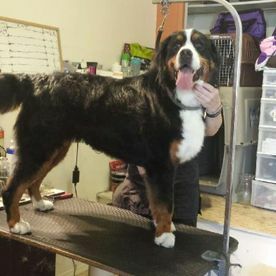 So when your precious pets need a makeover, take them to the groomer who will treat them like their own. Let’s get those cats and canines clean! 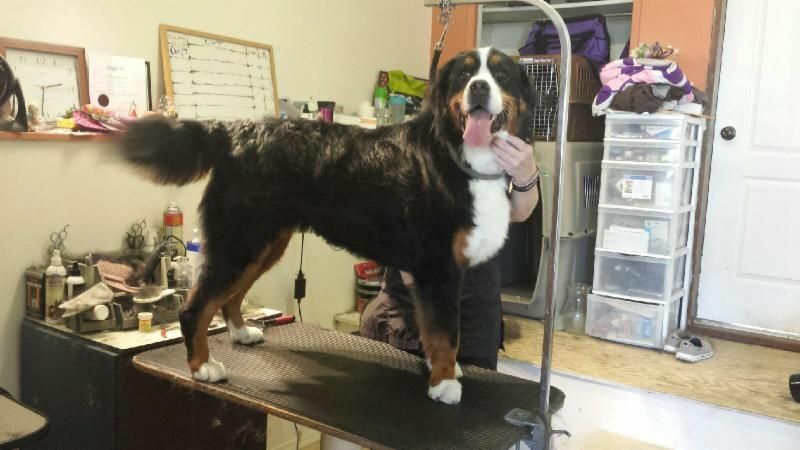 Take advantage of our services from basic grooming and nail care to flea baths and overall maintenance planning. We believe your beloved pets deserve the best experience. Most dogs love water and getting them in the bath isn’t too much of a challenge. But our feline friends usually have a more difficult time. Unlike most groomers, at Pretty Paws Pet Grooming we specialize in grooming cats. We ask you to be there during this time to help reassure your little confused kitty that everything is okay! They will be purring in no time. So grab that dirty dog and call us today to schedule a grooming appointment.